First off, what are caries? Dental caries, or tooth decay, is one of the most prevalent oral problems in the world, affecting a large number of children as well as adults. It begins when the plaque bacteria reacts with the sugar in the mouth and secretes an acid that weakens the enamel. It starts with an unnoticeable damage, but when it progresses, it can cause extreme pain, sensitivity and eventually the loss of the infected tooth. What may cause dental caries? If you don’t brush your teeth regularly and don’t floss along with using a mouth wash at regular intervals throughout the day, rest assured, caries will soon wreck havoc on your teeth and life! The unfortunate ones who suffer from enamel problems and have deep crevices in between their teeth, have a very high risk of developing dental caries. Consuming food that have a high content of sugar and carbohydrates is a sure shot way of finding yourself sitting at the dentist’s clinic waiting for him to call you in while you wait with your infected tooth paining like crazy. If you regularly wake up with a dry mouth, then you have high chances of developing dental caries as saliva helps minimize the growth of plaque and is a natural way of cleaning your teeth. Brush your teeth everyday at least twice a day, following the right brushing techniques and finish it up with flossing to clean the difficult area. Use a good mouthwash in between your meals to step up your healthy oral practices. If you suffer from enamel problems and deep crevices in your teeth, visit your dentists and ask him about sealants. They are thin, plastic-like coatings that are placed on the surface of the molars and protect your teeth against caries. Stay away from consuming food that is loaded with sugar and carbohydrates. If that is not possible, make a genuine effort to minimize the consumption of such food. If you suffer from diabetes, or have been placed on medications that give you a dry mouth, or even if it’s just a genetic problem, give all the necessary details to your dentist so that he can closely work with you to avoid dental caries which is highly likely in those suffering from a dry mouth problem. Avoiding visiting your dentist regularly isn’t going to be of much help if you want to stay away from caries. They generally start out in such a small way that you won’t even notice them. 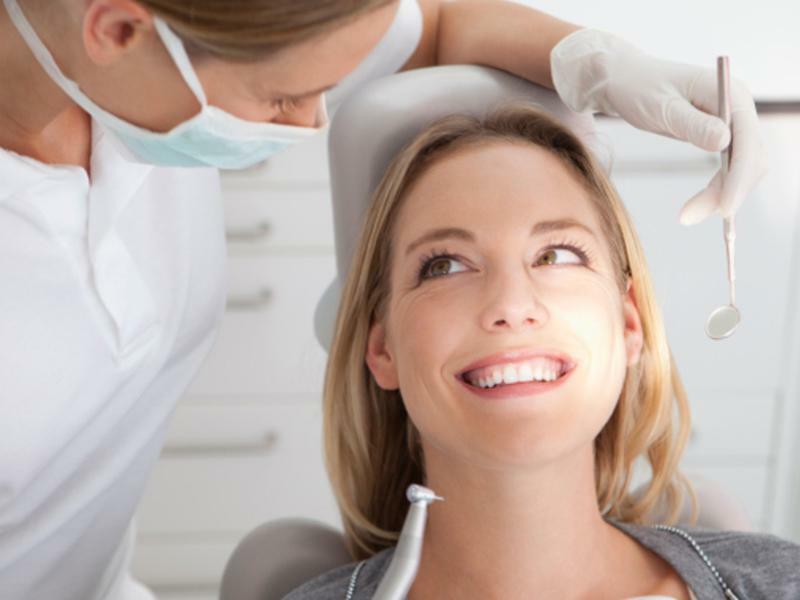 Paying a visit to your dentist for a thorough check up will detect any early signs of cavity and will allow your dentist to take the necessary steps to control it and cure the problem as soon as possible. Practicing a healthy and strict oral hygiene is very important in order to keep caries away. However, visiting your dentist for checkups at least twice a year is also a very helpful idea.